Locality: United States, Colorado, Gunnison, Southern Gunnison Basin: northeast flank of Flat Top, ca 1 air mi SSW of intersection of U.S. Hwy 50 and Colo Hwy 114; ca 8 air mi ESE of Gunnison. 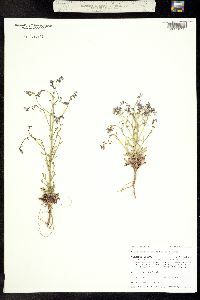 Habitat: Sagebrush shrubland. Elev. 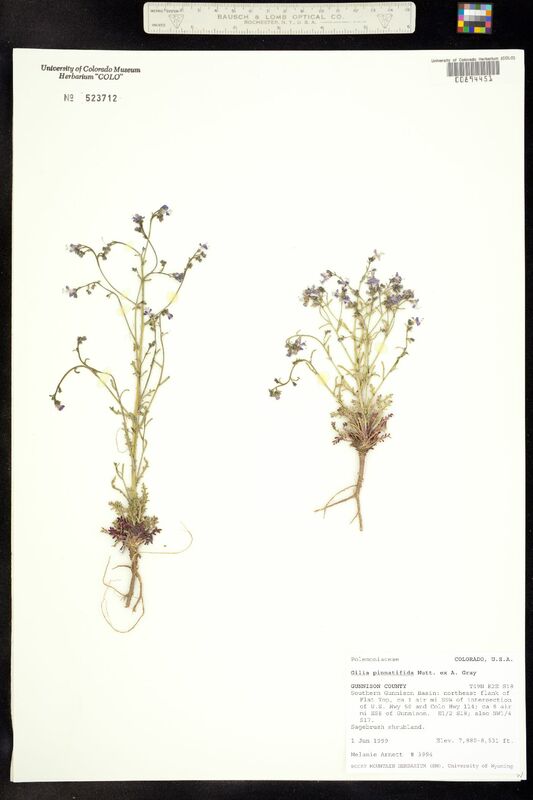 7,880-8,531 ft.
Notes: Original ID: Gilia pinnatifida Nuttall.